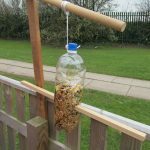 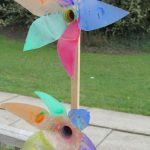 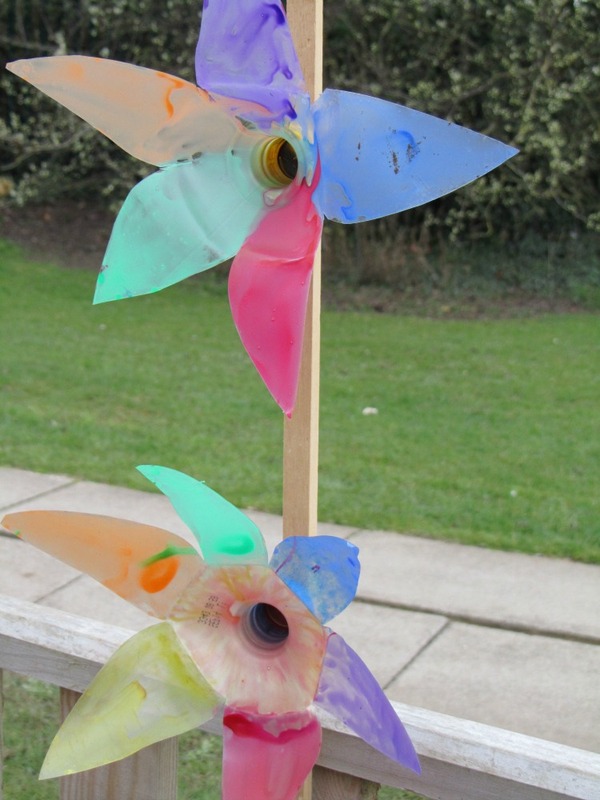 The Recycled Garden Competition asked for schools across the Tees Valley area to create something in their school garden that was made out of recycled items. 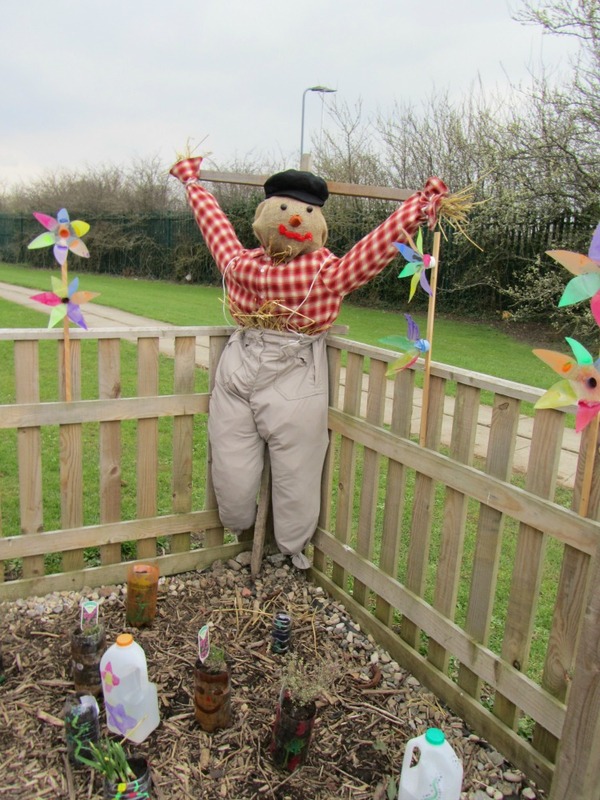 This school created a scarecrow (named Jimmy!!) 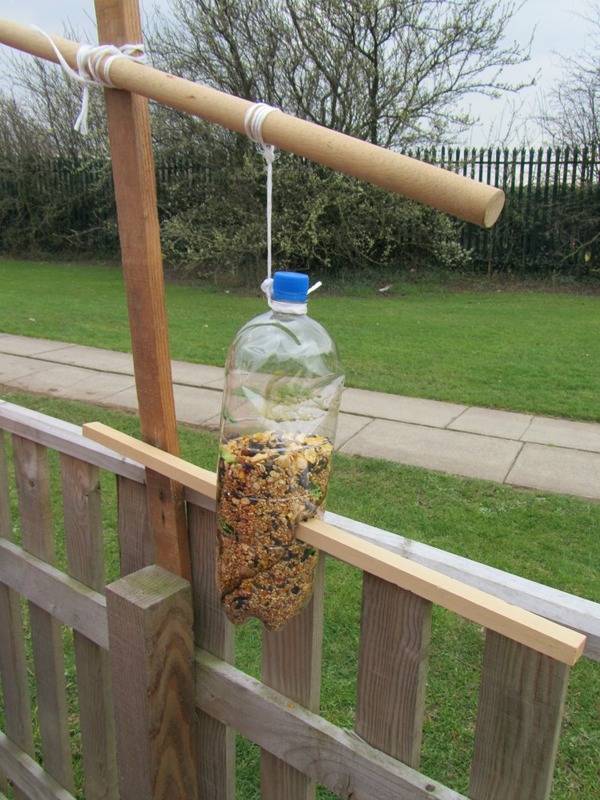 out of old clothes, watering cans out of plastic Milk bottles, planters/ cress heads from plastic pop bottles, decorations, and a bird feeder made out of a plastic bottle and re claimed wood. Year 6 took on this challenge, with a little bit of help from year 6 support Mrs Whyke. 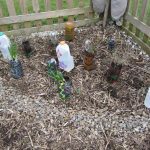 The sustainability of this project was also great, as the pupils have made lots of watering cans so that each class can use them on their raised bed(meaning they have a long term use). 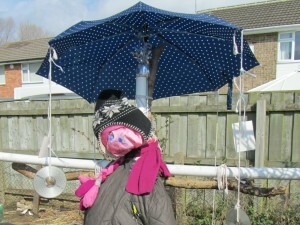 They also have plans in place to maintain their scarecrow and continuing to feed their birds. 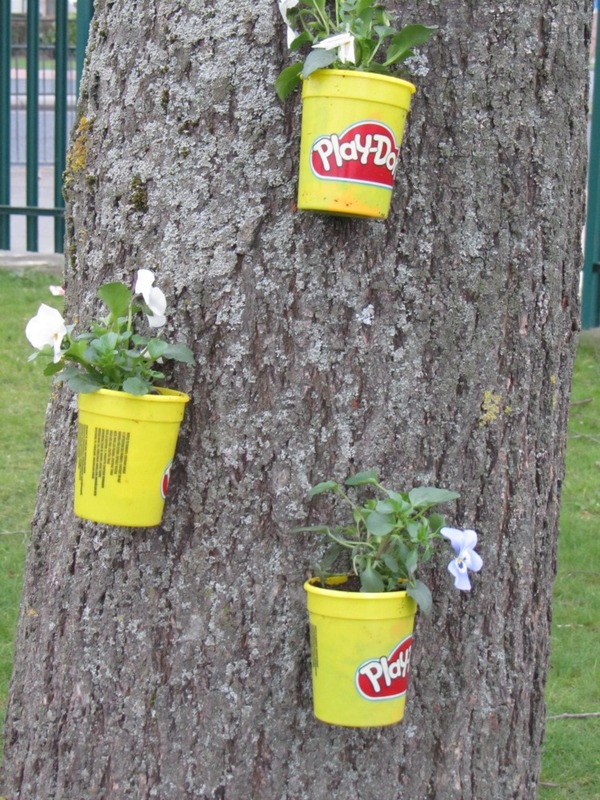 Here they have used some of the “junk” that was left over modelling material for nursery to make planters and hanging baskets. 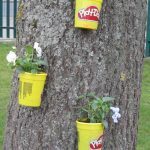 The small play dough pots have also been used as planters and the lids from these have been made into caterpillar decorations. 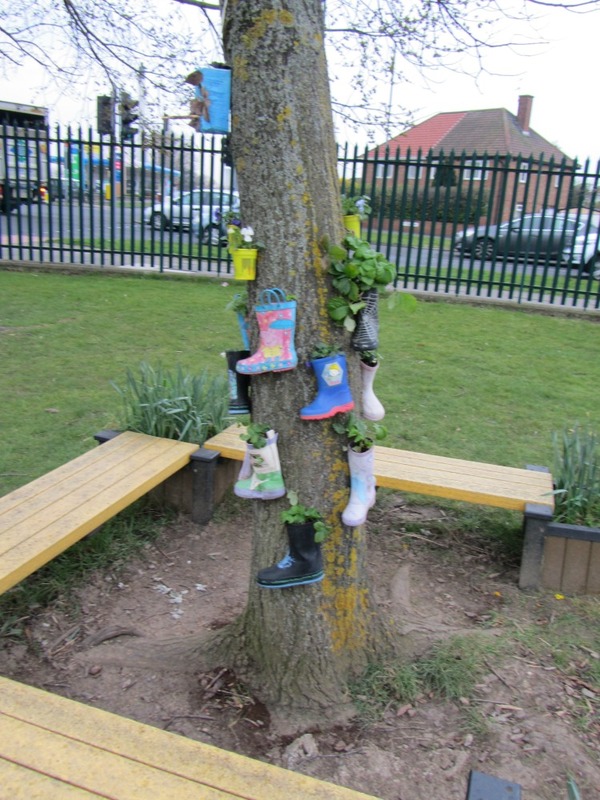 Old wellies that have been left behind were also used as planters and boxes made into bird boxes. 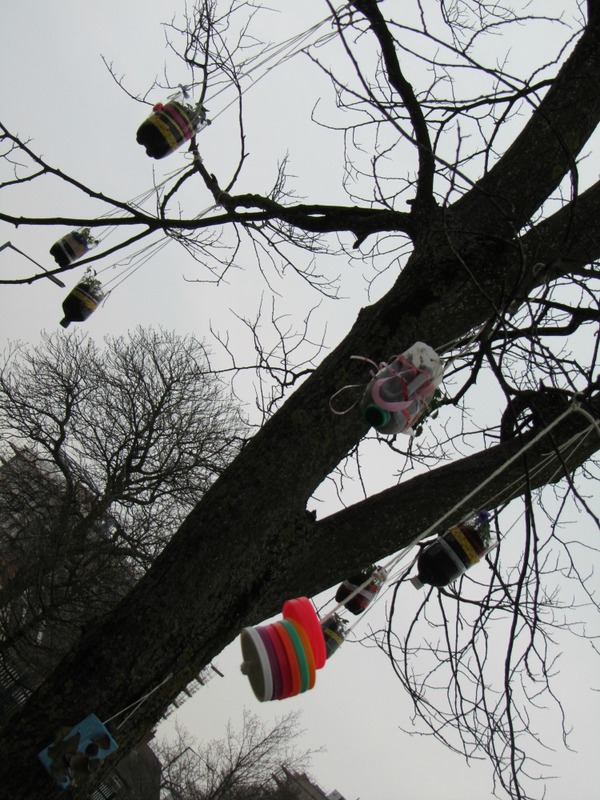 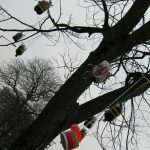 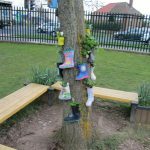 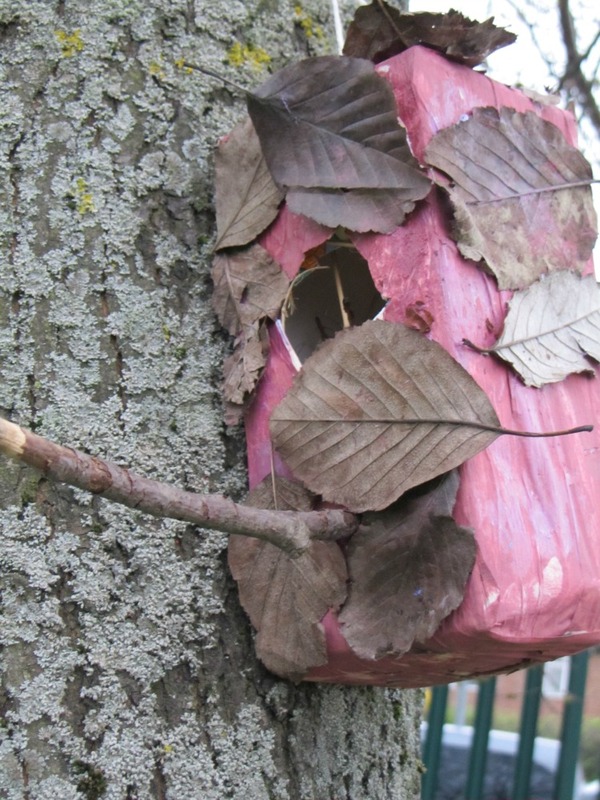 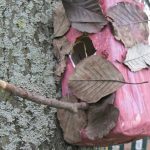 We were impressed that this school had come up with a really good name for their project – “Trash to Treasure Tree” and that staff worked closely with younger pupils. 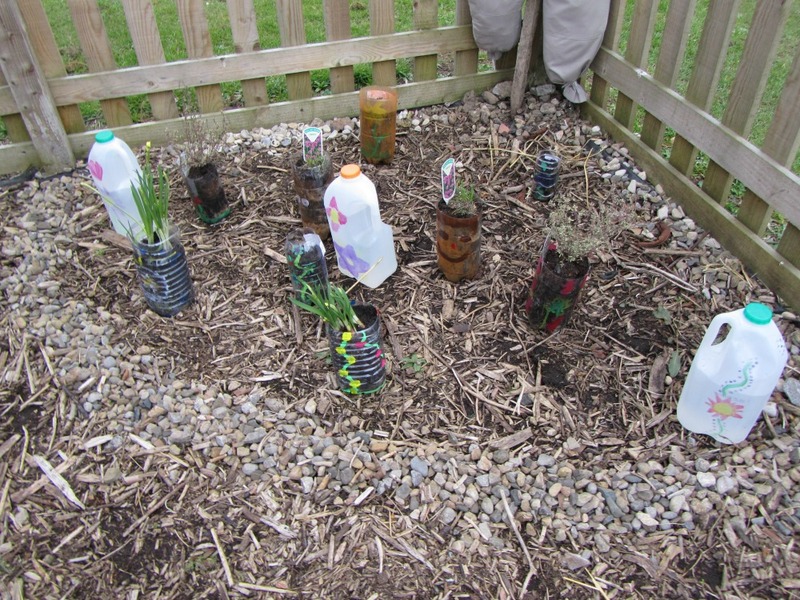 Pupil input through decoration, ideas and planting had been one of the key things at this school. 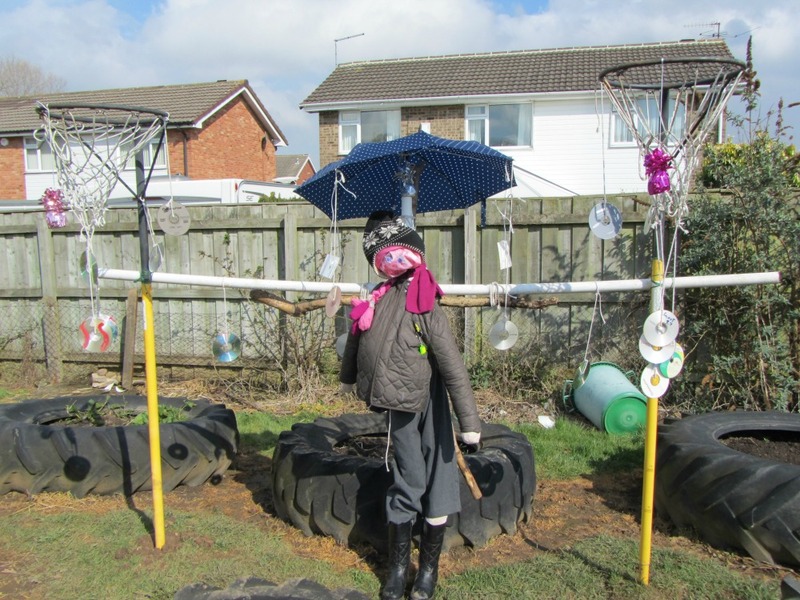 Galley Hill Primary School took on the challenge of making a scarecrow, as they wanted something that could stop the birds from eating their crops. They did a scarecrow with a difference- they re used any item they could find, including: lost property clothing that remained unclaimed, carrier bags, old CD’s , an umbrella and even used old netball stands to help stand their scarecrow next to their raised beds. 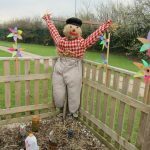 This school has future plans to implement more scarecrows around their growing areas because they enjoyed doing it so much!